Re-vamping your household entertainment center is pretty exciting. It often means the addition of high-tech toys and gadgets you’ve been dreaming about for years. To make your entertainment center, or home theater area, the very best, you’ll need to concentrate a bit on the aesthetics – as well as the toys. 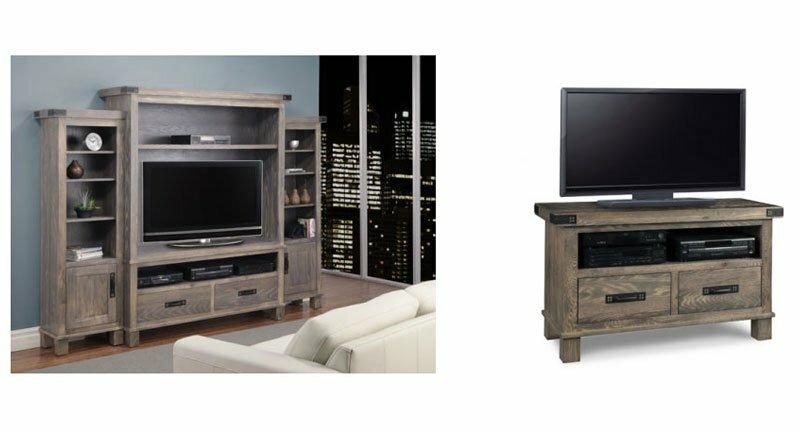 If the time has come to customize your entertainment center furniture, we recommend visiting our showroom at Millbank Family Furniture. Sure, you may be able to find some great deals online, but we can’t tell you the amount of times we’ve had customers in here purchasing furniture and furnishings in person after a horrible online experience. It’s always best to make these types of long-term decisions in person and with the assistance of tried-and-true professionals. Without the ability to “try them on,” your entertainment center furniture can look ill proportioned and not-quite-right for your home design. Plus, you need a chance to sit down and relax on a sofa or chair in order to know if it will pass muster for your family’s traditional movie marathon nights. When you work with a “real” custom furniture store, like ours, you get the benefit of design professionals who can help you select furnishings that match the rest of your interior design. You also have the opportunity to order high-quality custom pieces, finishes and upholstery that are never available at big box stores. We always recommend measuring your living space, not just the area that will house your entertainment center. You want your furniture and furnishings to be proportional to the entire space, in addition to fitting comfortably in their designated area. Use graph paper to draw the precise dimension. Then clearly mark walls, doors and entrance ways, as well as the existing furniture and furnishings. Bring this with you when it’s time to shop. If you have them, bring in the specifications for the electronic equipment you’ll be purchasing. This includes your subwoofer and other speaker equipment that may take up more space than you realize. Also include the dimensions for any existing electronic equipment that will be included in your new setup. Knowing how much equipment you have will help to determine the type of furniture and storage space you need to keep things looking tidy and functional while remaining 100% stylish. You will be amazed at the options available to you so consider your family’s lifestyle – as well as your aesthetic style – so we can help you choose the right combination. If you’re purchasing a more minimal electronic system, with only a soundbar or something similar, you may be fine with a simple TV stand or console. Larger systems, especially those that will require quite a bit of wiring or sound equipment, may require a larger cabinet with pull-out drawers and/or cabinet doors to hide things from view. If you have small children, or use your open floor plan for formal entertaining and like to keep your TV out of sight (or away from small hands), we recommend opting for a larger cabinet with doors so you can avoid the unappealing look of a big blank screen when your TV isn’t in use. 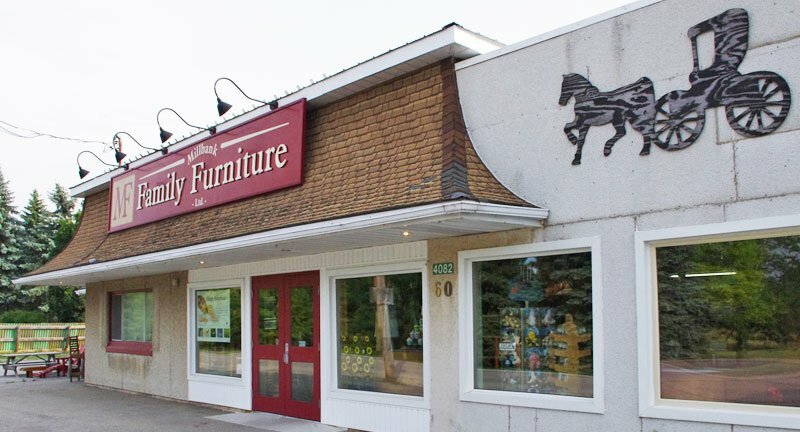 Once you have made your final selections, the experienced representatives at Millbank Family Furniture can work with you to choose the woods, finishes and/or upholstery that will work best for you. Contact Millbank Family Furniture and schedule an appointment so we can meet with you in person and begin selecting the entertainment center furniture that will look and work the best in your household.